The UK 'snap; General Election went totally unexpected. In my opinion, this time the all important event was much easier to trade than Brexit. We can definitely say that UK Prime Minister Theresa May's future is looking a bit uncertain after her election gamble seems to have backfired. The first exit polls were shocking. The 2017 election exit poll indicated a Conservative win, but not the extent of the margin. If the exit poll were accurate it would indicate, most likely, a hung parliament and it means GBP will drop. The exit poll is conducted jointly by all UK media, under the supervision of John Curtice, prominent political scientist and Professor of Politics at Strathclyde University. Traders were in shock, but I warned that GBP might have been sold on my live webinar on Monday and that's exactly what happened. Labour's Chi Onwurah holds her seat in Newcastle-upon-Tyne Central. Onwurah wins a majority of 14,937 (40.27%) - up from 12,673 (36.12%) in 2015. This was a 2% swing to Labour from the Conservatives. This was regarded as a safe seat. Labour was heavily outperforming estimates. UKIP voters were expected to favour the Conservatives, but it seems they were not doing so. They were moving to Labour in big numbers. But the thing is - the modelling was wrong. Labour were clearly outperforming again. According to my analysis, I also went into Yen strength, shorting the USD/JPY. During the night, results kept coming. On www.Forexlive.com we saw the Conservatives hold Broxbourne, Basildon & Billericay, while Labour held Middlesbrough, Workington, Stockton North and Leigh. The big surprise was the Labour win in Darlington as The Conservatives were expected to gain this one. 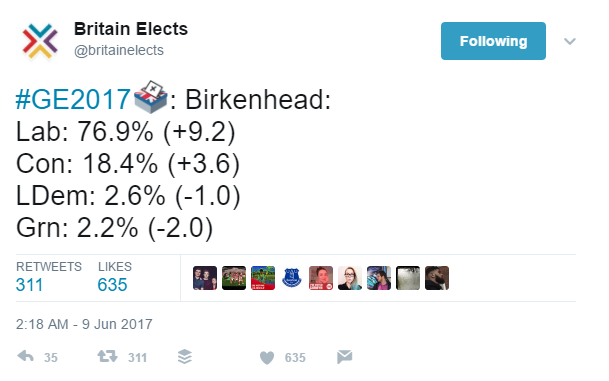 Another surprise was Birkenhead where Labour won a far higher share of the vote than expected (67%). The of all of this is that – Labour hugely outperformed the modelling predictions. According to the media, at 7:15 AM BST the Conservatives held 42.4% of all votes cast, with Labour sitting on 40.1% of the vote. Almost neck and neck. For us as traders, I think we should be interested to trade the Yen mostly after the elections (GBP/JPY favoured) but also EUR/GBP. Many Japanese institutional investors tend to de-risk due to geopolitical crises, with the Yen strengthening on actual or the perceived likelihood of capital repatriation to Japan. The Japanese can get cheap credit, so they invest heavily overseas. When it's risky, they bring the money back creating demand for Yen and vice versa, when it's bullish Equities, they pump their money overseas, which means they sell Yen and buy foreign currency. You might ask then, how come the GBP/JPY is so volatile, even more volatile during risky events such as the UK elections? My answer is that the UK is mainly a service-driven economy – about 78% of GDP comes from services. The Office for National Statistics list all UK services, which explains what the UK manufactures for export and what it imports, as well as listing who its major trading partners are. FTSE has a large amount of natural resources and service companies in that listed exchange. GBP would be heavily influenced by the capital flows from the financing hub of London. So the confirmation of a hard Brexit would be negative for the GBP. On other side we have a safe haven – the JPY. The Japanese do massive carry trades, by borrowing for very cheap and investing abroad in other markets for returns during risk-on sentiment. During risk-off environments, when stock markets are starting to drop, they sell their risky assets abroad, and return their foreign money into the JPY, creating demand and strength in the JPY. But they also pay-off their JPY loans. This has the effect of reducing the money supply of JPY. Then, this causes further appreciation in the JPY. This is one of the reasons why you might really love to trade the GBP/JPY, like I do. Given the current risk-on, despite the UK hung parliament result, the downside of the GJ pair is somewhat restricted. The UK hung parliament result should be bearish on this pair, but having said this, the Dax and FTSE have opened higher this morning, thus limiting the downside to the pair. 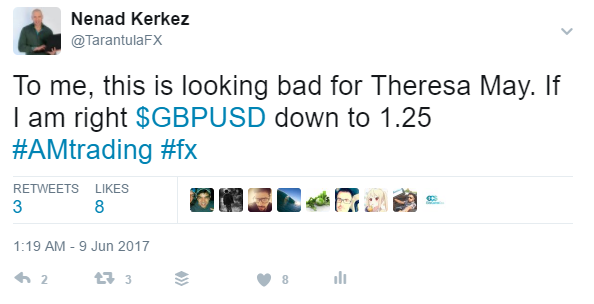 Trade carefully, as this result was not favourable for Theresa May, in what the polls expected as a certain win, we must be cautious as to her future plans, she may decide to resign as leader of the Conservative Party and quit as PM and the market will need to react to this possible outcome also. Technically, we see a retail gap that was made when the price instantly fell down following the exit poll results that I showed in the beginning of this article. The gap hasn't been closed at the time of writing. The underlying trend on GBP/JPY is bullish, so if we see a gap close around 142.50, we might see a rejection too as there is a POC zone (Quarterly H3 Camarilla pivot and EMA 89). However, should the pair drop below the X cross of the trend line and Monthly L4 at 139.08, we could see a further bearish continuation to 137.28 and 136.00, possibly. The EUR/GBP really depends on the fallout associated with Brexit, as this may lead to other EU member states leaving the bloc as well. We need to better understand if industry and businesses leave the UK, and if, as a result of Brexit, the trade arrangements between the UK and its major trading partner become unfavourable. If so, it might lead to a contraction of economic activity in the UK or the EU. I reckon the EUR may strengthen, owing to the debt crisis in Europe and because billions in EUR might be destroyed when the debt is written off. Also, we see that the funds have been moving to US Equities due to the risk associated with the European Union as a result of Brexit. My predictions in the pre election article (which you can find on our dedicated webpage), came true: the EUR/GBP has spiked up strongly. What we could expect during the next week, is possibly buying the dip on this pair. I can explain this further in my live trading webinars. Please register for free. Following the recent hung parliament in the UK, there has been a flood of money poured into the Blue-chip Dax30 Index, as it sky rocketed on open. It is at a critical level of 12800 as it approaches all-time-highs, and we need to see if this Big Round Number can hold this morning session, if so, then expect the bullish action to continue. A hung parliament has been negative on the EUR, and this is good for exporting nations, like Germany and its respective Equities Index, the Dax. Watch for a new high at 12881 - Monthly H4 camarilla pivot, and possible resistance there. To downside, support is at 12575 Quarterly H3 Camarilla pivot. The world is really tired of the status quo and the popular narrative that it was lurching toward right-wing populists. In the morning, that narrative will change. It seems that the world is simply lurching away from the middle. The world doesn't want the 'steady hand' and old policies, it simply wants new ideas. Whether that comes from the left or the right, it's coming. And with Trump stumbling in the US, the left is looking more attractive to voters than the right at the moment. One thing is for sure, we will stay here and trade whatever the market throws at us. 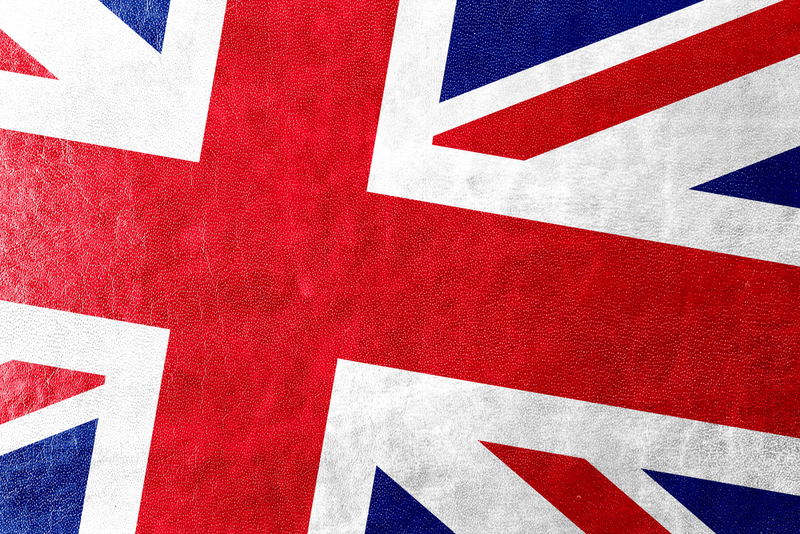 To watch the events unfold further, and see the wider impact on the markets with even more expert analysis, keep an eye on our dedicated UK General Election page.